But what is going on here????? Squeaky, G'Kar's faithful steed and best mate, was revolting! He would not carry G'Kar any further! 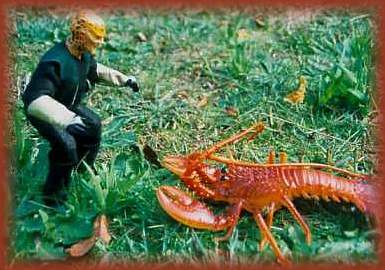 He had decided that it was time for plastic squeaky lobsters to be FREE!!!!! Back | Home | Further into the adventures! Babylon 5 and associated characters, images, etc, are copyright Warner Bros.